Visual Studio Code>Other>Better package.jsonNew to Visual Studio Code? Get it now. Tool for managing project dependencies. Inspired by npm-gui. This extension can be configured in User Settings or Workspace settings. This setting will control whether # is preprended to commands. This turns them into comments that you can modify at your leisure. 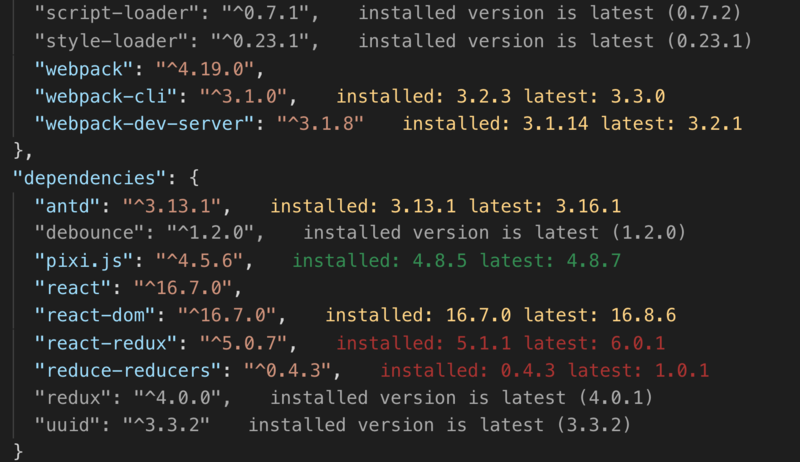 Specifies what semantic version range to use when updating packages. original: Adapts to the range originally used in package.json. exact: Uses an exact version.